The inaugural sale by the newly formed Phillips watch department, “The Geneva Watch Auction: One”, will take place on May 10. 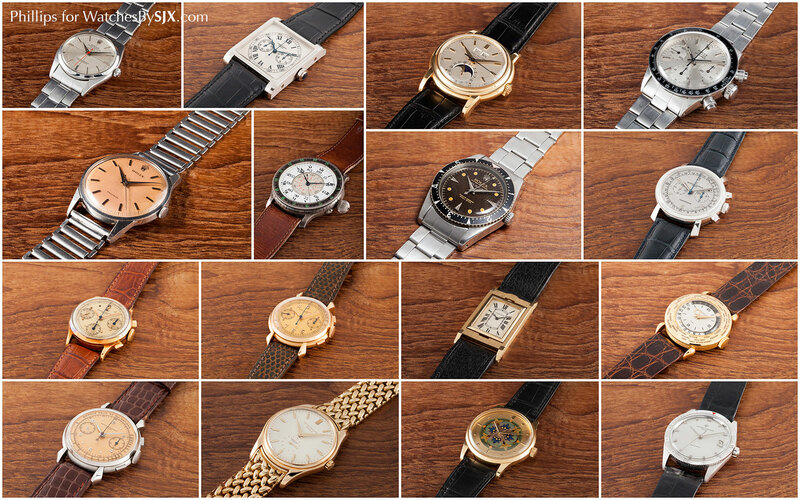 Here’s a selection of highlights from the sale, curated by watch expert Paul Boutros. Phillips announced late last year it would form a watch department, confirming the expectations of many in the business. With Aurel Bacs leading the watch department, a great deal was from Phillips’ inaugural watch sale given Bacs’ stellar run at Christie’s, where many record prices were set. 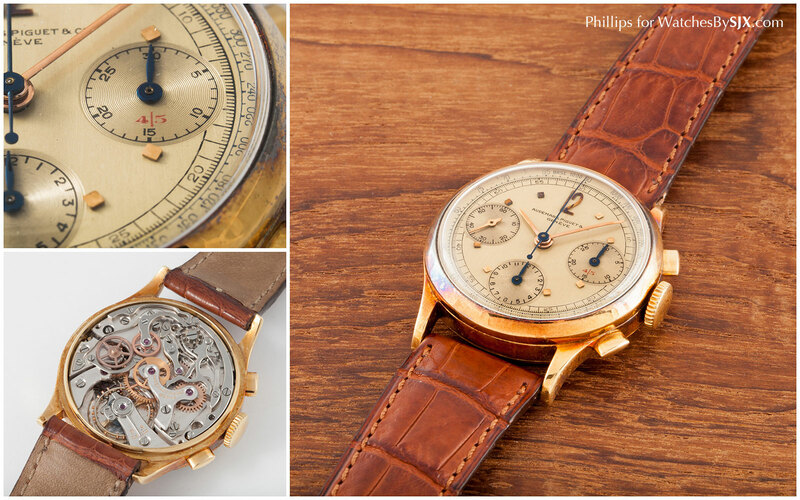 The first Phillips sale takes place in Geneva next month on May 10, with an impressive line-up of watches encompassing the million or half million dollar Rolex and Patek Philippe watches that are de rigeur, as well as a host of other interesting and collectable watches. Paul Boutros, a New York based watch expert and International Strategy Advisor at Phillips’ watch department, picked a few highlights in an exclusive preview. Lot 79: The “General Sweeney” Rolex 6062, originally presented to Major General Walter C. Sweeney, Commander of the US Air Force Tactical Air Command, and engraved as such on the back. This ref. 6062 has an extremely rare black lacquer dial with spade numerals, of which only four others are known. 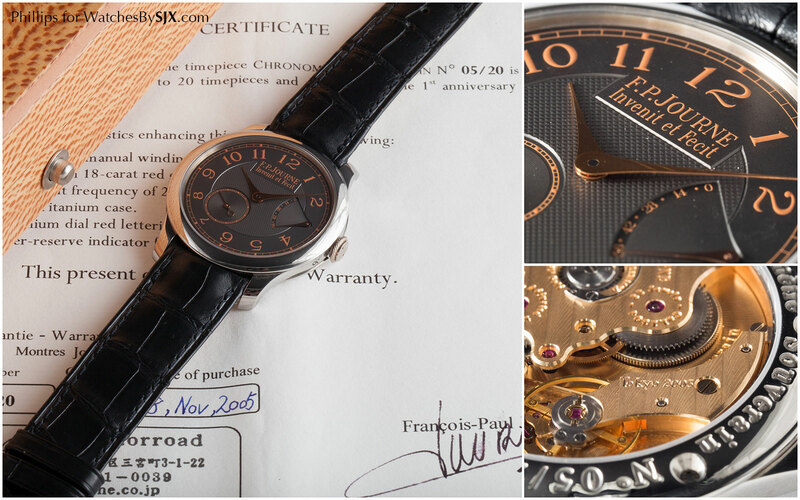 Beyond the excellent condition, the watch is complete with the chronometer certificate, guarantee card and instructions. Estimate is CHF300,000-600,000. 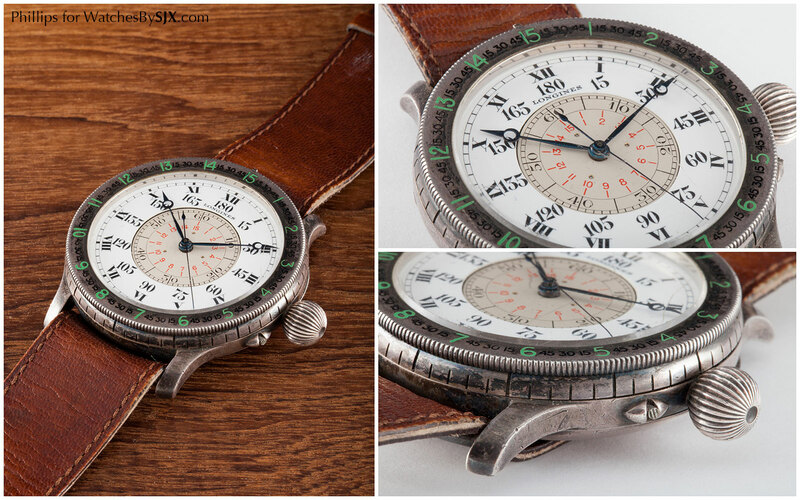 Lot 86: An oversized, 47 mm Longines Lindbergh Hour Angle watch, designed by Col. Charles A. Lindbergh for pilots. This particular watch dates from the first year of its production, and was given to French aviator Dieudonné Costes by Lindbergh himself. Estimate is CHF60,000-80,000. 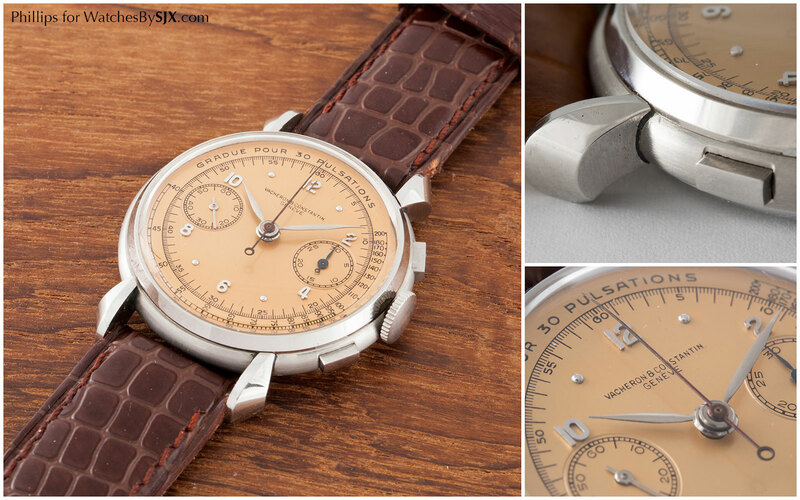 Lot 91: A stainless steel example of Vacheron Constantin’s signature vintage chronograph, the ref. 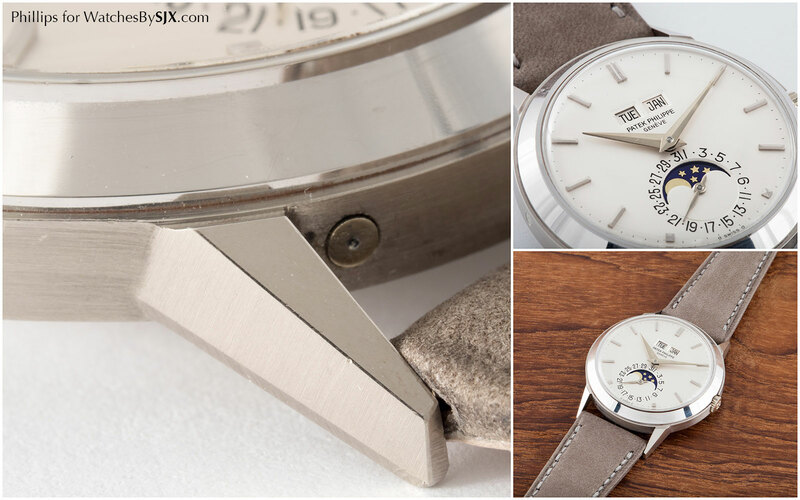 4178 chronograph, with an uncommon salmon dial featuring an equally rare pulsations scale. Estimate is CHF30,000-50,000. 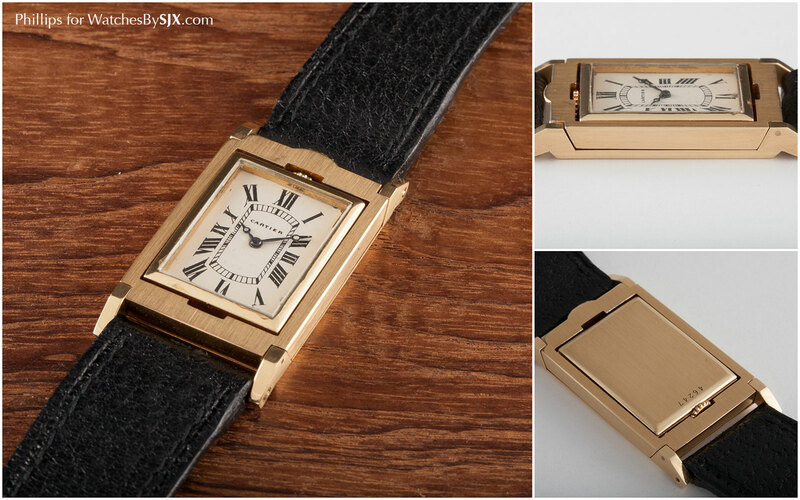 Lot 103: The Cartier montre bracelet réversible basculante was originally made in the thirties. It had a swivelling, reversible case, and was the inspiration for the Cartier Basculante watch of the late nineties. This particularly rare specimen dates from 1964 – only a handful were made that year – and is slightly larger than the thirties original. Both the case and movement are signed “European Watch and Clock”, the joint venture between Cartier and Edmond Jaeger that made watches for Cartier, mainly with LeCoultre movements. Estimate is CHF30,000-40,000. 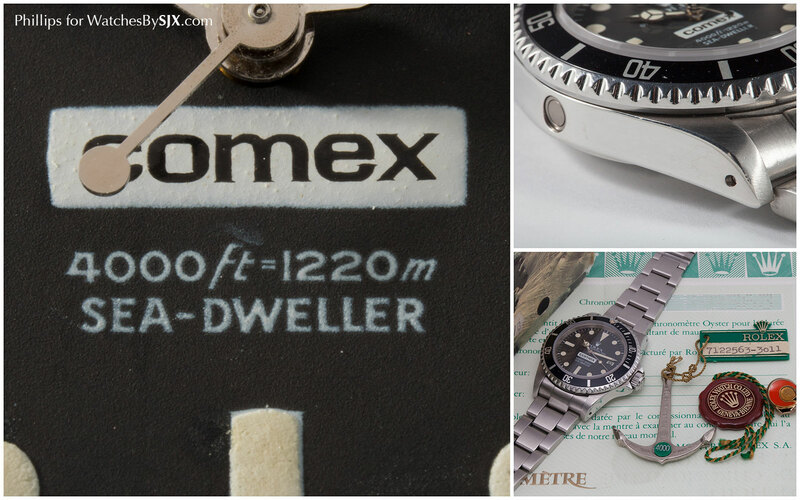 Lot 112: A Rolex Sea-Dweller ref. 16660 “COMEX” from 1982, complete with original warranty, accessories and packaging. Estimated at CHF60,000-80,000. Lot 130: The F.P. Journey Chronometre Souverain Tokyo edition. Made in 2005 in a limited edition of 20 pieces for the one year anniversary of the F.P. Journey Tokyo boutique. The case is titanium, while the dial is black with orange numerals and markings. Estimate is CHF20,000-30,000. Lot 143: Rolex ref. 6556 Tru-Beat from 1955 featuring a dead-beat seconds mechanism where the seconds hand moves forward in one second increments like a quartz watch. This was originally intended for doctors and nurses to allow the taking of a pulse. This has the extra of having a Tiffany & Co. signed dial. Estimate is CHF8000-12,000. 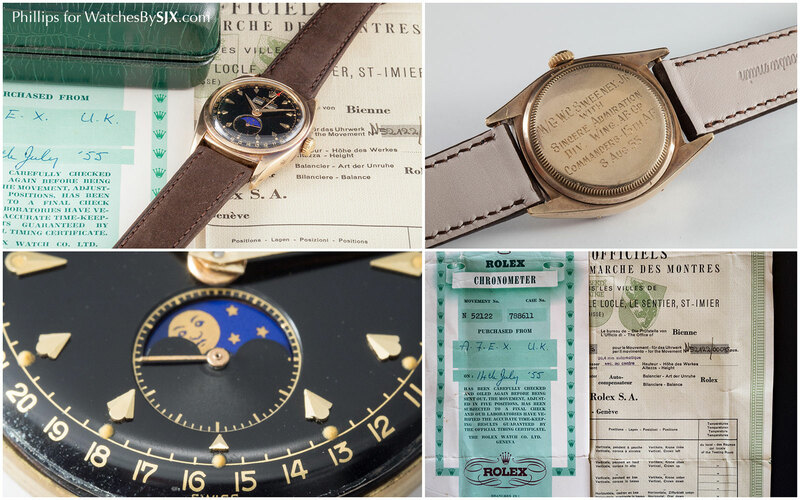 Lot 148: The Rolex ref. 6263 Daytona “Paul Newman” with a “panda” dial, with Mk 1 pushers and bezel. Circa 1971 and estimated at CHF150,000-250,000. 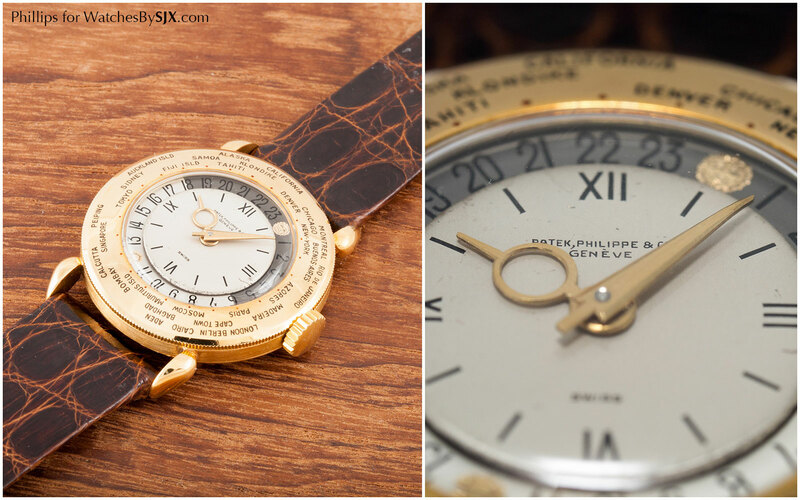 Lot 163: This Patek Philippe ref. 1415 world time wristwatch dates from 1939 and is likely the second example ever made of this model. Being an early specimen of the ref. 1415, the bezel only has 30 cities, instead of the 39 or 41 found on later watches. And this particular watch was originally owned by actor and Academy Award nominee Robert Stack. The estimate is CHF60,000-90,000. Lot 176: Unlike its peers Patek Philippe and Vacheron Constantin, Audemars Piguet is not particularly known for its vintage chronographs. But they are exceptionally rare, with just over 400 produced, and also finely made. This yellow gold chronograph dates from 1946 and is equipped with a Valjoux VZAH movement. Estimate is CHF40,000-60,000. 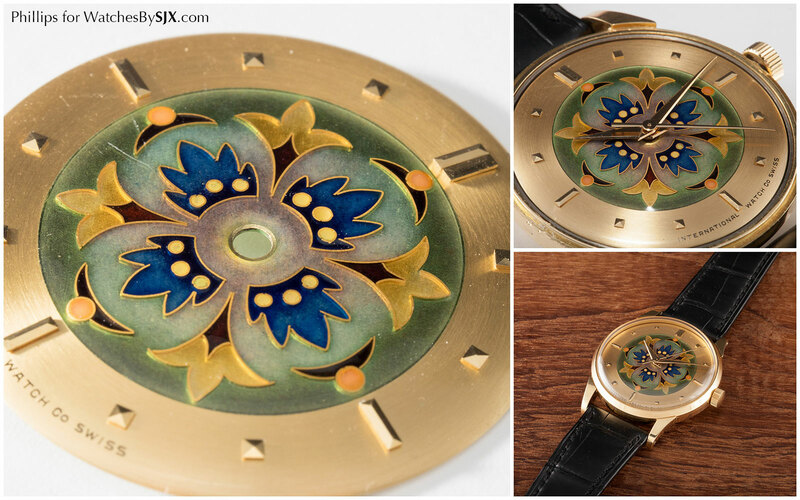 Lot 199: This is an IWC from 1950 with a floral motif cloisonné enamel dial made by Stern Créations, the dial maker that was then owned by the Stern family that now owns Patek Philippe. Stern created some of the best enamel dials of the period for brands like Rolex, Patek Philippe and Vacheron Constantin, the likes of which cost at least five to ten times the estimate of this IWC, which is CHF15,000-25,000. 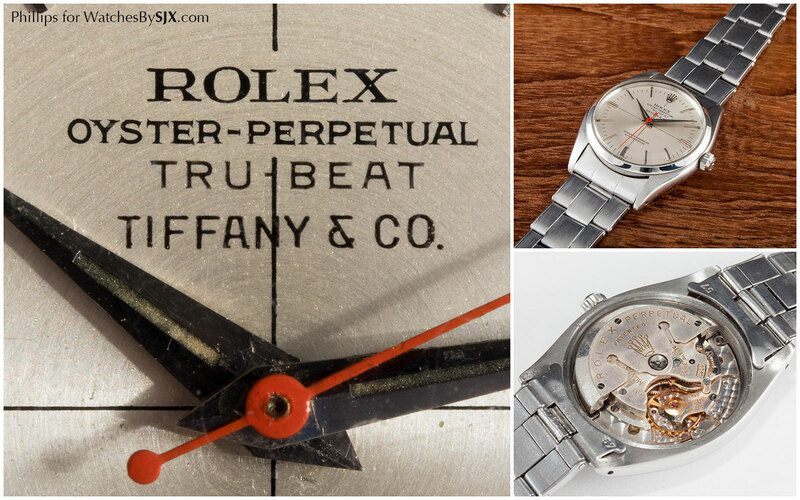 Lot: 214: Formerly the property of Eric Clapton, the Rolex ref. 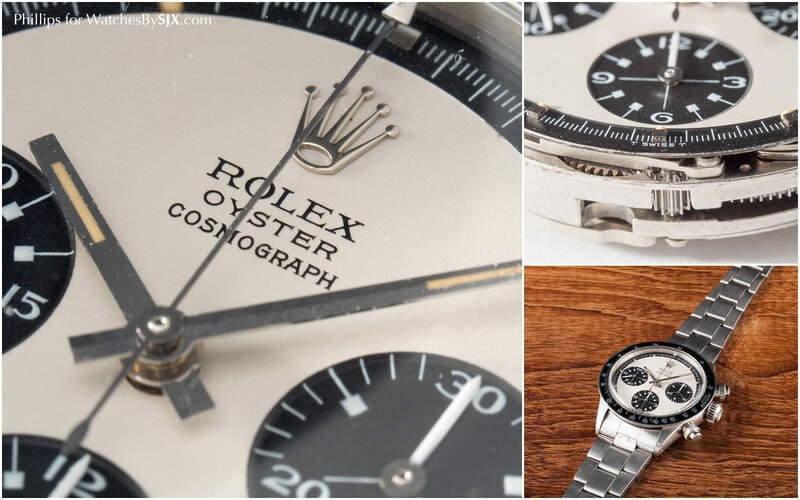 6263 “Oyster Albino”, only one of four known examples of the silver dial Rolex Cosmography with the sub-dials in the same silver finish. It’s from 1971, with the correct Mk 1 pushers and bezel. Eric Clapton bought this watch in the late nineties, and sold it in 2003 at Sotheby’s for US$505,000, then a world record. Now estimated at CHF500,000-1,000,000. Lot 224: The ref. 3448 was the first automatic perpetual calendar made Patek Philippe, introduced in 1962. This particular watch is one of the last of the ref. 3448, dating from 1981, the last year of production. In fact, this watch is the 585th watch to come off the line, making it the penultimate ref. 3448 made (only 586 were produced in all). The fact that is in white gold makes it even more desirable. The estimate is CHF250,000-350,000. Stay tuned for part two of the preview later today. 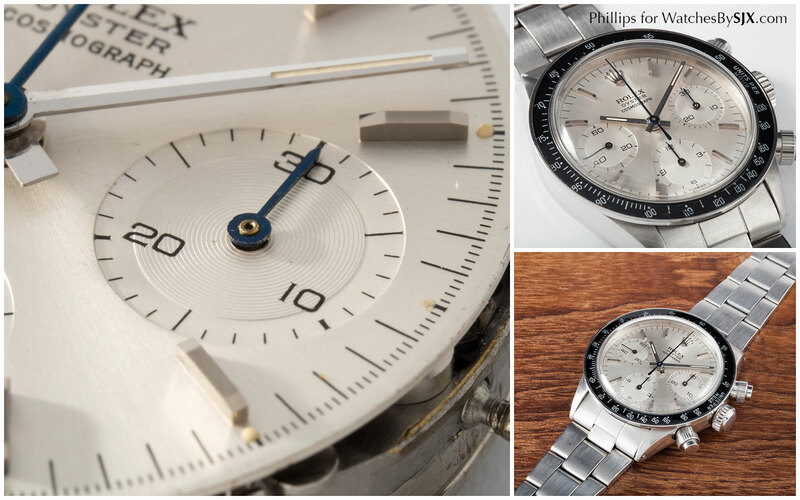 Visit the Phillips Geneva watch sale page for more information on the sale, including catalogue and bid registration.